We've known for a while that , which will rival the new BMW M5 and Mercedes E63 AMG. The new shared with the Porsche Panamera, though some borrowed from the Panamera Turbo S E-Hybrid. Now, an inside source at Audi has told us the next-generation RS7 will be joined by a more practical sibling, the RS6 Avant. Our source spoke to two Audi USA Executives, who confirmed that both the A6 and RS6 Avant models will be sold in the US market by 2020. If this information is accurate, our prayers for a fast Audi wagon in the US will finally be answered, hallelujah! Both the A6 and RS6 Avants are expected to arrive next year in 2020, likely alongside the new RS7. The previous two generations of the RS6 Avant were never offered in the US market, making them tempting pieces of forbidden fruit for American car enthusiasts. Americans buyers typically prefer SUVs to wagons, though the thanks to a flood of new models. While BMW hasn't built an M5 wagon since 2010 (in Europe only), Mercedes currently builds a wagon version of the E63 AMG for the US market. Now, the E63 could be getting get some stiff competition. Last year, , though it would likely be transformed into a lifted Allroad variant with body cladding to cater to America's love of SUVs. Our source confirmed the A6 and RS6 will be true wagons, not lifted Allroad models. 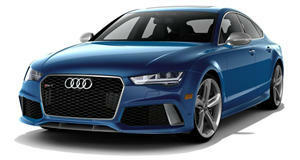 We also reached out to Audi USA to get official confirmation, though we were told this news was just "speculation." We are hoping with all of our hearts for this rumor to be true. 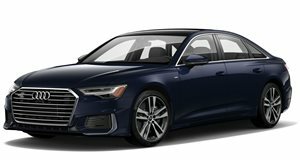 We've been waiting to have the chance to buy the RS6 Avant for years, so if you want to make sure Audi continues to sell wagons in the US, you have to go buy one new. Don't wait for one to appear on the used market because by then it will already be too late.